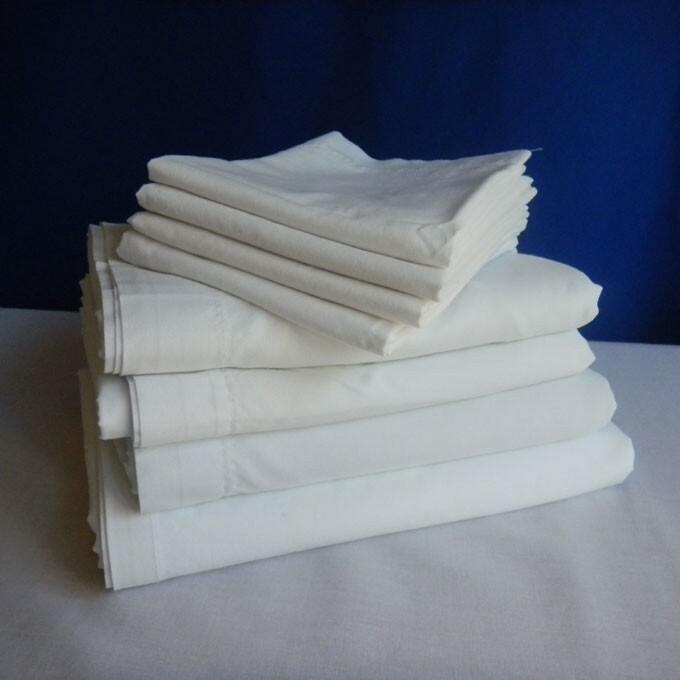 The set includes a fitted sheet, flat sheet and two pillow cases in white. Set includes a fitted sheet, a flat sheet, and 2 standard pillow cases. White only.